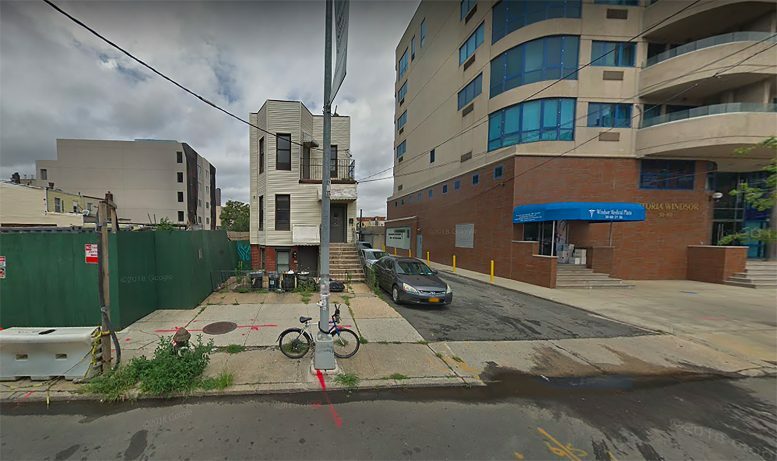 Permits have been filed for a seven-story mixed-used building at 30-88 21st Street in Long Island City, Queens. Located between 30th Drive and 31st Avenue, the corner lot is six blocks west of the 30th Avenue subway station, serviced by the N and W trains. Dean Davaros under the Rio Davaroso Property LLC is listed as the owner behind the applications. The proposed 70-foot tall development will yield 8,915 square feet, with 8,033 square feet designated for residential space and 882 square feet for commercial space. It will have eight residences, most likely condos based on the average unit scope of 1,004 square feet. The concrete-based structure will also have a cellar and four enclosed parking spaces. Joseph Sultana of JLS Designs is listed as the architect of record. Demolition permits were filed in September of 2018. An estimated completion date has not been announced. 2 Comments on "Permits Filed for 30-88 21st Street in Long Island City, Queens"
That’s Astoria – not LIC.